Our experience at the Center for Vein Disease is that most people tend to live with pain and discomfort caused by vein disorders far longer than they need to. We find that once patients have been treated, they tend to feel lighter and more energetic. We can treat most veins in the body because of our superior equipment and proficiency. Our specialists have extensive experience in treating vein conditions. The Center for Vein Disease is one of very few vein centers that offers the option to take part in clinical and industry trials. 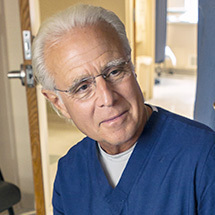 Dr. Elias is not just treating veins: He is developing the latest techniques and instructing the top vein specialists (phlebologists) across the world. Englewood Health Physician Network providers participate in a structured bloodless (transfusion-free) program that provides patients for whom blood is not an option with consistently accessible, high-quality care. Learn more about our program. Call for more information: 201-894-3653 or 888-766-2566.